Hudson, NY Dentist, Dr. Robert E. Danz, now provides implant supported dentures to patients who have lost all or most of their teeth but do not want to lose the function and stability of real teeth. Dentures that are supported by implants replace traditional appliances and provide long term, permanent support. 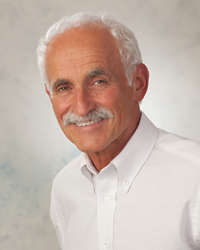 Robert E. Danz, DDS is a dentist in Hudson, NY who now offers his patients an effective alternative to traditional dentures that supports bone health and prevents facial restructuring. The conventional type are often ill-fitting and grow more uncomfortable over time due to bone loss that changes the shape of the face, bone, and gums. Dentures supported by dental implants differ because they help prevent bone loss and keep teeth firmly in place. The roots of a tooth support and anchor it to the jaw bone. This is not the only function of roots, though. Chewing causes the roots to stimulate the bone, which keeps it healthy. When teeth fall out or are removed, the bone stimulation is lost and it begins to disintegrate. As it breaks down, it is resorbed by the body. The shrinking jaw bone can radically change the shape of the face. For people who wear dentures, it also means that they will no longer fit correctly and new ones will have to be created in order to restore eating and speaking abilities. As a local dentist in Hudson, NY, Dr. Danz is able to offer his patients a much better option. He provides both permanently fixed and removable teeth anchored by implant posts that perform the bone stimulation functions of real tooth roots. He selects the locations of the posts based on maximum bone density and the best anchoring points. These titanium posts are then set into the gums and secured to the jaw bone. The implants take a few months to fully heal and secure themselves solidly into the bone, and during this time, the patient is given a set of temporary dentures. Once the healing process is complete, the new set is fitted to the posts, and the patient then has the freedom to treat them as real teeth. Patients seeking a dentist in Hudson, NY who would like more information about implant supported dentures can visit Dr. Danz’s website or call his office to schedule a consultation appointment. Robert E. Danz, DDS is a general dentist offering personalized dental care for Hudson, NY gum disease patients. Not only does Dr. Danz run his own practice, he is involved in his community. Dr. Danz received his dental degree from the New York University College of Dentistry after earning his bachelor’s degree from Long Island University. He has also taken numerous postgraduate education courses, specifically focusing on cosmetic and restorative dentistry. Dr. Danz is part of one percent of dental professionals providing the LANAP® FDA cleared laser procedure for gum disease treatment. To learn more about Robert E. Danz, DDS and his dental services, visit his website at http://www.hudson-dental.com and call (518) 444-4215.